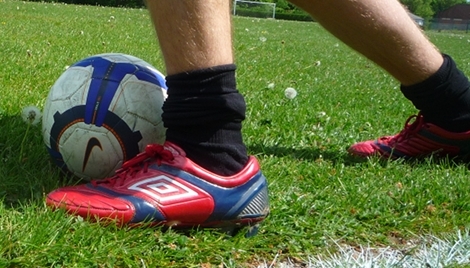 The lifespan of a football boot seems to be getting shorter and shorter at the moment. 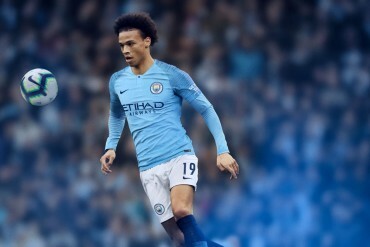 It seems we can’t even have a spanking new pair of cleats out for a month without some spanner letting a top flight European player wear a new, updated version in a high-profile international friendly. 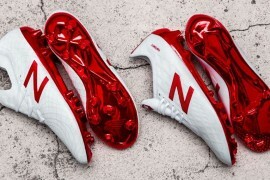 Being a lover of football boots, it’s not such bad thing; if I come across a leak on a website at first I’m a bit peeved that the the boots I’ve just splashed £100+ on will be outdated in the few months, it’s always balanced out by how cool the new version looks – so I try not to get too hung up on it. 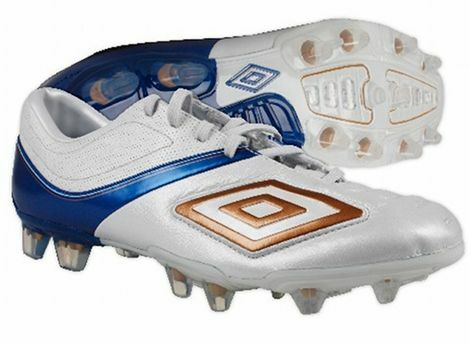 But when I heard that Umbro were releasing a new Stealth Pro II on December the 1st, I was pretty annoyed. And confused. Then I was hungry. Now I’m back to being annoyed again. The original Stealth Pro hit store shelves on the 2nd of March 2010, and is now being replaced a hair less than 9 months later – which has got to be some sort of record (outside of the Mercurial Vapor series, which got a little messed up after the Superfly I’s launch was delayed) and I think it’s unfair, not only on the consumers – but the football boots themselves, too! Firstly the consumers. The Stealth Pro was a completely new football boot from Umbro, meaning that it was going to take a little while for people to ‘warm up’ to them – which means that the vast majority of people who own a pair of Stealth Pro‘s probably bought them after launch, after they’d got good reports from word of mouth, and reputable websites excellent in-depth reviews. It hardly seems fair to spite these early-adopters by making their boots outdated. Especially after it was probably their purchases that funded the development of the Stealth Pro II. It’s just as weirder move to pull when you consider the football boots themselves. I reviewed the Stealth Pro myself back in April, and I found them to be a very good cleat, with no real flaws except that the synthetic upper might not be for everyone – and professionals are just about catching up to them, too. Looking at the squads of the England vs France Friendly in mid-November, Gary Cahill, Phil Jagielka and Gael Clichy all represented the Stealth, and in the Premier League the likes of Leighton Baines, Wilson Palacios and Jonas Gutierrez also in the Stealth Pro. 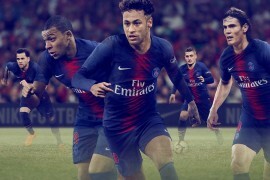 The numbers might not be adiZero levels, but after taking all this time to switch – do Umbro really think that they’re all going to be willing to change to the new model at the drop of a hat? We know how picky footballers can be, and we sincerely doubt that we’ll see all of the aforementioned players make the change on the 1st of December (Baines and Jags probably will though – the Stealth Pro II‘s are a great match for the Toffee’s home kit!) – it doesn’t seem an effective or efficient move from Cheadle-based Umbro, more a rush tactic to get some new football boots on the shelves in time for Christmas. But giving Umbro the benefit of the doubt, it could be that the Stealth Pro II is more a matter of necessity. Given their slow start (you could say that they went ‘under the radar’! Thanks, I’m here all week) the Stealth Pro‘s were swiftly discounted, which obviously means they’re a less profitable boot and replacing them with a new version is a great way to, not only raise the profile of the line, but also bring them back up to full price again. Now that more professional players are wearing the Stealth Pro, it would certainly make sense to revamp them and launch a fresh advertising campaign (preferably one that doesn’t involve foxes and/or chickens) to take advantage of this new-found exposure. Here’s hoping it’s the latter. 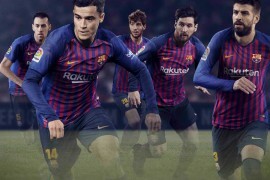 Umbro have become more loved than they themselves probably realise; praise for the Speciali has been unanimous and their football kits have been critically lauded for their back-to-basics approach. And it would be a shame to see this head of steam turn into a stormcloud of disgruntled Steath Pro owners. Looking objectively at the boot – I’m impressed with the decision to outfit the Stealth Pro II with a leather upper. Given my (very minor) complaints of the synthetic upper on the original, I think it’s a very wise move for a boot that markets itself in the ‘Control’ sub-category. But, it just seems that Umbro didn’t give the boot the time it needed to really ‘bloom’. I’d have been much happier with Umbro following in Puma’s footsteps, and releasing them as the ‘Stealth Pro KL’ or something similar, rather than a fully-fledged sequel. Umbro could have marketed it as the ideal Stealth for the wet Winter months and push it as strong Pre-Christmas release, which is as close to a happy medium as you’re ever likely to get – though Umbro would have had to heap a load of cash into a developing a Stealth Pro III. How long do you think a boot’s lifespan should be? It used to be once every two seasons for ‘big’ boots like the adidas Predator, but now it seems to have dropped to anywhere between 12-18 months, is this too short or just right? It’s like soccer jerseys now, cleats come out all the while. Maybe they should have a lifespan date on shoes?? I do hate it when I have shelled out $150 on cleats and then its dated because a couple of month later the new version is out. That said, Umbro didn’t appeal to me with the Stealth anyway. I think it was aptly named – they should keep that cleat quiet…. Look, chasing the lastest fashion, the latest trends, the lastest boots, wil lleave you in a lot of debt, unless you are on a ÂŁ50, 000 a week salary which most footballers are. 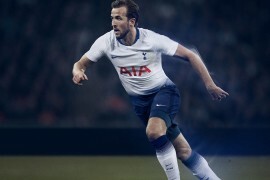 As they update their boots, parents or people who want to imitate their favourite players are forced to fork out money to buy new boots / kits and ditch those barely used ones. I say if you are clever enough to stick with whatever you bought until it’s breaking apart, good for you. If however, you are idiotic enough to get yourself into debt trying to keep up with the verocious pace of manufacture advertising / hype/ new products, well that’s your fault. Manufacturers don’t care about you, they care about the money in your wallet. They want it in their wallet. Just because its an “updated” version doesn’t mean you should wish you had it instead of your original Stealth boots though. Not all newer models are better. Sometimes people go hunting for older boots that they know they like instead of buying the newest version. Also, a K-leather version of the original Stealth would be excellent. I’d probably think hard about picking up a pair of those if Umbro released them. After re-reading my comment it comes off a lot more harsh than I meant it to be. Rest assured that I enjoyed the article, and agree that it is too soon to have a new version, but I do think that it isn’t always necessary to want the newest versions. In some points i agree with [email protected], i had my vapor 4’s for 3 and a half years, i even wore them when the back 2 studs on both feet had come out (so they ended up being more like running spikes i played footy in), i only stopped when my foot literally couldnt enter the boot anymore. The thought of asking my dad to shell out hundreds for boots i just couldnt bare. But since the vapor 4 had quite a long life, i wasnt too bothered with my vapors as they were the red ones (which were quite popular) and the fact that all the new colorways were just the exact boot with different colours (although i did find the k-leather E8 vapors mouthwatering). So i guess a long boot life is better if your a wearer than just an observer as the only expired feeling you could get is that there is a new color of the boot you already have and would have prefered, instead of feeling down that you have the old model of a boot and that theres a newer model out. I personally love the idea of constantly updating cleats as it makes older versions much more affordable, and It can really be a good upgrade. Take the new CTR 360s coming out soon, they look awesome. But some new cleats come out just to get people who must have the latest and greatest. 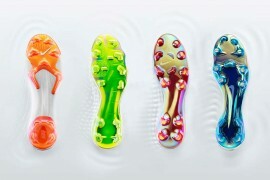 Like the new Superflys coming out soon are the same as their predecessors with vertical lines, no new tech. And yes I am the kind of player who buys really expensive cleats when they get a little cheaper due to a new version. Umbro had no choice but to change – they got it severely wrong when they released the original Stealth. The development concept dictates how the boot is recieved at launch and this boot went missing. The only option is to repackage with improved material. Kangaroo Leather will give it half a chance. Nike CTR defined Control and made people think differently about how they play. The fact that it was Synthetic didnt matter, the concept was strong enough to create momentum. The whole Chicken/Fox/Egg nightmare is the best example of this, Umbro are having some identity issues and struggling to deliver innovative product that sits alongside the Speciali. i share the same frustration as the writer has. I don’t have the sales figures but I believe the stealth1 sold well and much better than the stealth II will. Why? The number of football-loving amateurs far outnumbers the number of competitive and nonprofessional players. For the amateur often the cheapest top-level boot they can get is what they go for. Unless they are kids to whom only appearance matters they will prefer to buy an adizero for 200 rather than a mercurial glide or victory or whatever take down of the vapour has the similar price because they want the best bang for their buck. What better bang than to wear the same boot you see top-class players wearing on tv but while spending only $70? At the moment the stealth is the cheapest high level boot available and is very good; getting glowing reviews from buyers and reviewers. There’s a reason so many people in lower leagues wear them. Cheap and good and with decent looks. All rounder boots: light enough to not hamper movement, able to add power and accuracy to shots due to padding, synthetic material and ridges, providing protection and durability…..no other boot on the market provides these features for this price. It is even superior to some more expensive boots. I see more of this boot around and about than I see of any single line of puma boots….I have nothing against puma, I have some pairs myself and I like their boots. I’m just pointing something out. This release of a new version might mean the original stealth goes down even further in price which is good. However it was not necessary at all…unless from a money spinning perspective…which is what matters to the companies anyway.